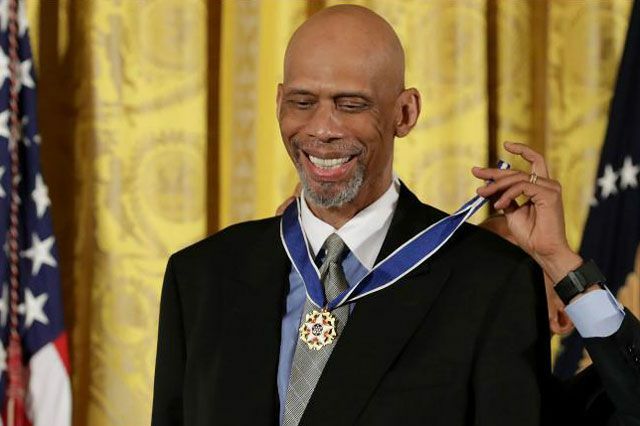 UCLA alumnus Kareem Abdul-Jabbar receives the Presidential Medal of Freedom from President Barack Obama at White House ceremony Nov. 22, 2016. The Presidential Medal of Freedom is the nation’s highest civilian honor, presented to individuals who have made especially meritorious contributions to the security or national interests of the United States, to world peace, or to cultural or other significant public or private endeavors. 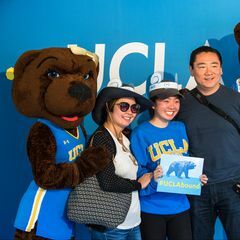 Abdul-Jabbar starred on the varsity team at UCLA from 1967-69, helping lead the Bruins coached by John wooden to three consecutive NCAA titles. 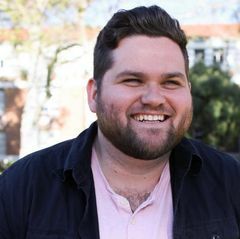 Elected to the Naismith Memorial Basketball Hall of Fame in 1995, he helped UCLA compile an overall record of 88-2 in three seasons and was the only player ever selected Most Outstanding Player of the Final Four three times. A standout in the NBA, Abdul-Jabbar is the league’s all-time leading scorer, having played for the Milwaukee Bucks and the Los Angeles Lakers from 1970 through 1989. He led the Lakers to five championships and the Bucks to another. Abdul-Jabbar was a six-time NBA Most Valuable Player and a 19-time All-Star. 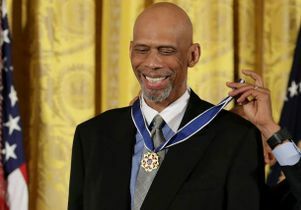 Abdul-Jabbar, 69, is a New York Times-bestselling author, prominent Twitter presence, historian, Washington Post and Time magazine columnist, and longtime advocate for equality and justice. Read more. Other Presidential Medal of Freedom recipients from the sports world on Tuesday included NBA Hall of Famer Michael Jordan and Los Angeles Dodgers broadcaster Vin Scully. The honorees also included actors Tom Hanks, Cicely Tyson, Robert DeNiro and Robert Redford, comedian Ellen DeGeneres, philanthropists Bill and Melinda Gates and Los Angeles architect Frank Gehry.